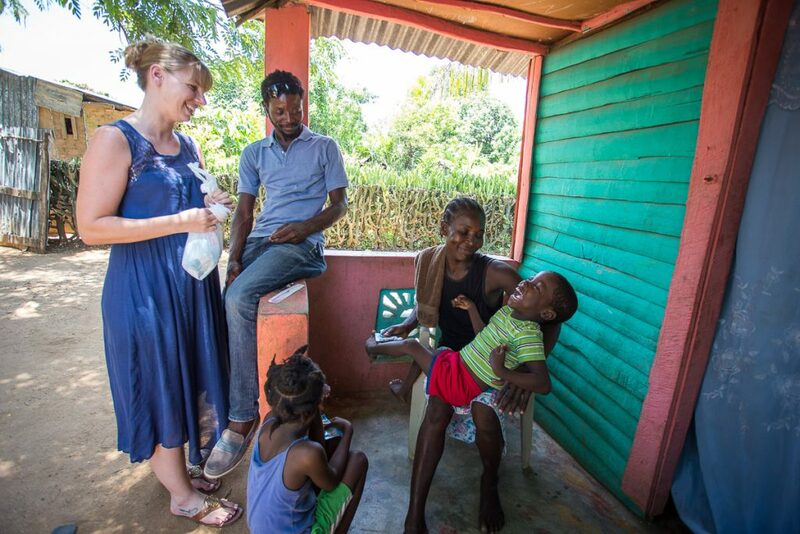 Living day to day in Haiti is a constant struggle for many families, and having a child with disabilities is often seen as having an additional burden. Very few individuals are educated on disabilities, and therefore the children are often neglected, abandoned, seen as a curse, and even directed to voodoo leaders for treatment. At Footprints of the Son, we believe it is imperative to come alongside of these families and help guide them and advocate for their child to be a valued and loved member of their family. Footprints of the Son strives and advocates for family preservation through our outreach program. It is our desire for children with disabilities to remain in their families, and to receive the necessary care and assistance they need to not only survive, but thrive! Our outreach program consists of over forty-five families raising children with disabilities in Haiti, and it is continuously growing. We are seeing these families develop in amazing ways as they embrace, love, and put value on their children with disabilities. When a family becomes part of the Footprints of the Son outreach program, we conduct an initial survey and assessment. We work with the family to prioritize their needs and determine which services would best help both the child and family. We visit each family at their home at least twice a month, and maintain constant contact with them so they never feel lost or alone. We work within the communities the outreach families live in to foster compassion and encourage acceptance from their neighbors. One of the largest expenses many families with children with disabilities face is the medical care necessary to keep the children healthy. Many families simply wouldn’t be able to seek adequate and efficient care for their children due to their financial situation. These children have jeopardized immune systems, and cannot wait when battling illness. 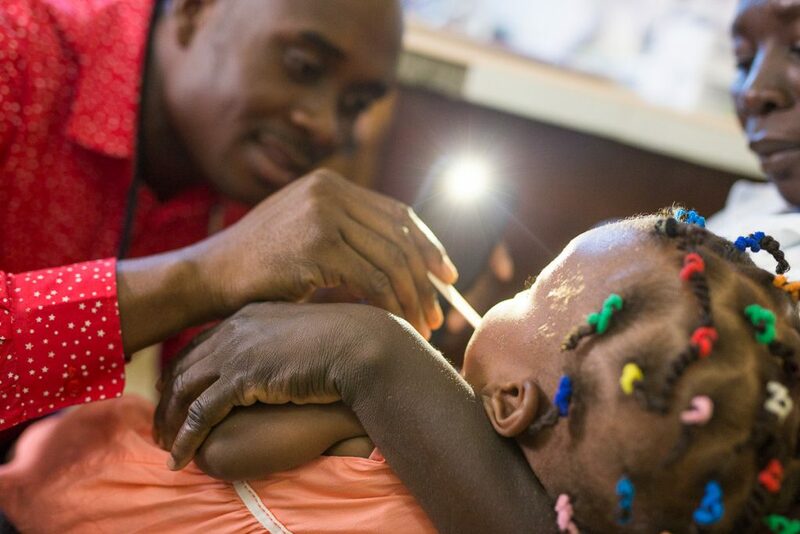 Footprints of the Son covers all maintenance and emergency medical services for the children in our outreach program allowing the families to focus on loving their child during sickness rather than stressing over the medical bill. Each child in the outreach program would benefit greatly from one or more forms of therapy. Currently, we are able to financially support some of the children to go to community therapy centers and clinics. We also have trained our teacher assistants to work with many of the children in our school. When visiting therapists come to Footprints of the Son, they evaluate the outreach children and offer techniques for the families to do home based therapy with their children. We look forward to growing our therapy services in the future to meet the needs of all the children in the Footprints of the Son outreach program. 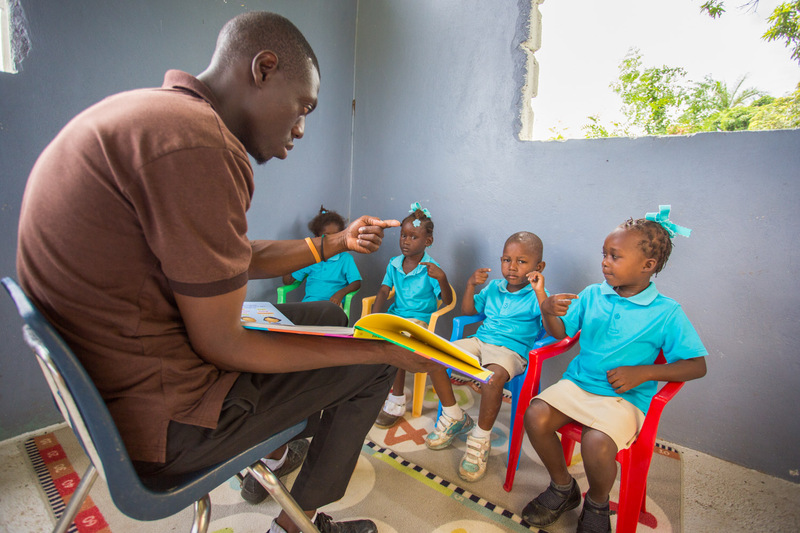 There is a big emphasis on education in Haiti, and we do not want our outreach children to miss out. However, many Haitian schools will not accept them due to their varying disabilities. Several of the outreach children are students at the Footprints of the Son Inclusion School. Other higher functioning outreach children are supported financially to attend schools located in their communities. Tutoring is also covered if needed. We enjoy seeing the children develop and progress in mighty ways through education, and we are confident that their futures are bright! We recognize that children with disabilities often require special accommodations when it comes to their nutrition as several have swallowing and digestive concerns. 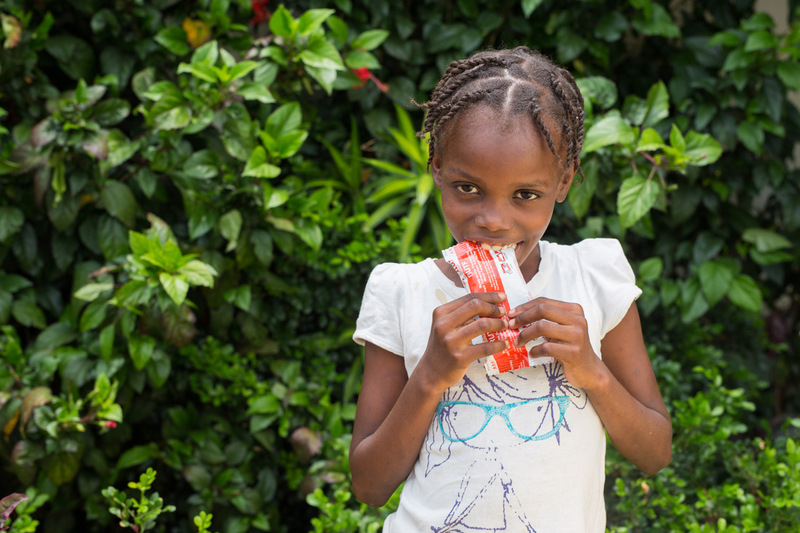 Many of the children also need extra calories because they use so much energy just to complete daily tasks. 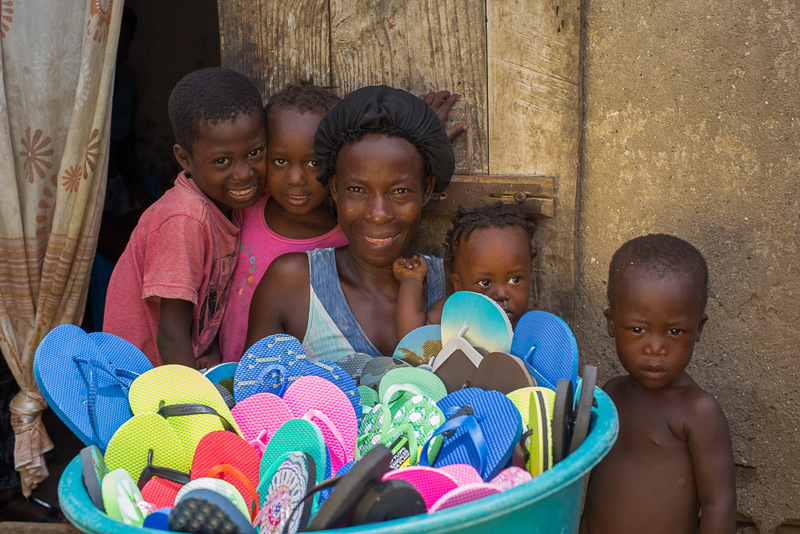 Footprints of the Son is able to help provide enriched peanut butter supplements to the outreach children as well as food blessings as needed. For the more severe children, we assist with specialized formulas and cereals. Our goal and vision is to equip the outreach parents and families with as much knowledge, guidance, and encouragement as they need to fully understand, accept, and value their child. During each home visit, we discuss any new challenges they are facing as well as hear their recent accomplishments and developments with their child. The individual home visits create a comfortable environment for the parents to open up about their needs and concerns. This time together is always cherished and it is vital to the success of the Footprints of the Son outreach program. As we strive to get our outreach families to a more financially sustainable situation for themselves, we recognize the need for job opportunities. Many of the parents of our outreach program are single mothers, and they have very little income to support their families. Their situation is dire, and their children are suffering greatly. It doesn’t always take much to turn this around! If it is determined that we are able to support the family in this way, we sit down with the parent and come up with a business idea that they would like. It is an honor to help a parent who wants to help themselves and their family, and we have seen transformed lives through this program.